Hyundai’s 2017 sedan models include the Sonata, the Elantra, and the Azera. The Sonata is a family sedan with plenty of room and a lot of standard features at a good price. The stylish Elantra is a compact sedan with Hyundai’s reputation for value behind it. The Azera is a full-size sedan with many luxury car features. The Hyundai Sonata, a family sedan, comes in nine trims: the base trim, the SE, the Sport, the Eco, the Limited, the Sport 2.0 T, and the Limited 2.0 T, the Hybrid, and the Hybrid Plug-in. The Sonata has ample interior space for your family, including rear seat and trunk space, and it has amenities like heated, height-adjustable front bucket seats and climate control. The Hyundai Sonata starts at $21,300 MSRP. It is 191″ long, 73″ wide, and 58″ high. It offers 16.3 cubic-feet of cargo space. It has ventilated front disc and solid rear disc brakes, an anti-lock braking system, and a four-wheel independent suspension with front and rear stabilizer bars. The 2017 Sonata handles well on the open road and has good acceleration for passing. It offers either a 185-horsepower, 2.4-liter engine or a 245-horsepower, 2.0-liter turbo, 16-valve, variable-speed, DOHC, four-cylinder engine, both with a six-speed automatic transmission. 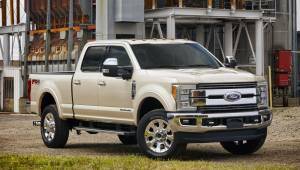 The Eco trim provides a 178-horsepower, 1.6-liter engine with a seven-speed automatic transmission. For your entertainment and to keep you connected, it has Android Auto, AppleCarPlay, satellite radio, voice-activation, auxiliary audio input, a USB port with external media control, and six speakers. To protect you and your family, it has stability and traction control, tire pressure monitoring, emergency braking assist, blind-spot monitoring, and a rearview camera. Car and Driver Magazine ranked the 2017 Hyundai Sonata sixth among family sedans. They felt that the Mazda 6 had better grip on the road and that the Honda Accord had more responsive steering. However, they said that the Sonata was a good value with all the standard features at a good price. The 2017 Hyundai Sonata gets 23 MPG in the city and 32 MPG on the highway. While it could use some improvements on handling, the 2017 Hyundai Sonata is a roomy car with lots of standard features at a good price. The Hyundai Elantra, a compact sedan, comes in six trims: the SE manual, the SE automatic, the Value Edition, the Sport manual, the Sport automatic, and the Limited. The interior of the Elantra has height-adjustable front bucket seats, heated mirrors, rear window defogger, and tilt-adjustable steering wheel. For the exterior the Elantra offers optional mud guards and a rear spoiler. The Hyundai Elantra starts at $17,250 MSRP. It is 179″ long, 70″ wide, and 56″ high. It has 14.8 cubic-feet of cargo space. It has ventilated front disc and solid rear disc brakes, four-wheel anti-lock braking system, and four-wheel independent suspension with a stabilizer bar. The 2017 Elantra has a 145-horsepower, 1.8-liter, 16-valve, variable-speed, DOHC, inline-four engine with a six-speed manual transmission. An automatic transmission is available. Technologywise, it has AM/FM stereo, satellite radio, speed-sensitive audio control, auxiliary audio input, a USB port with external media control, and six speakers. For your safety, it has stability and traction control, tire pressure monitoring, and emergency braking assist. The Elantra is a good value and provides a lot of features and a quiet ride. However, it does not have power or a smooth ride. The Sport trim offers more power and a better ride, but it loses fuel efficiency. The Mazda 3 offers power, a smooth ride, and good fuel efficiency. The 2017 Hyundai Elantra gets 27 MPG in the city and 37 MPG on the highway. Despite the lack of power and a smooth ride, the Elantra offers a lot of features at a good price. The Hyundai Azera, a full-size sedan, comes in two trims: the Base trim, and the Limited. The exterior features a chrome grille and trim, light tinted glass, power open-and-close trunk, fully automatic Projector Beam Halogen Daytime Running Headlights with Delay-Off, front fog lamps, Perimeter/Approach Lights, LED brakelights, and dual stainless steel exhaust with chrome tailpipe finisher. The interior includes power heated and ventilated front bucket seats with a ten-way power driver’s seat with memory settings and two-way power lumbar support, and an eight-way power passenger seat. It also has a 60/40 folding rear seat, a power tilt/telescoping leather steering wheel, and leather upholstery. 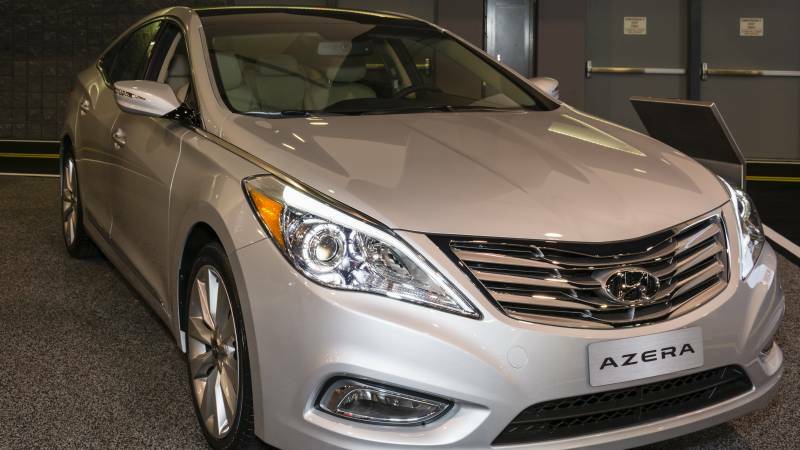 The Hyundai Azera starts at $34,100 MSRP. It is 193″ long, 73″ wide, and 58″ high. It has 16.3 cubic-feet of cargo space. It has four-wheel disc brakes with front-vented discs, four-wheel anti-lock braking system, and front strut and rear multi-link suspension with coil springs. The 2017 comes with a 3.3-liter, 293-horsepower, V-6 engine with a six-speed automatic transmission with Shiftronic. The safety features include front and rear roll bars, electronic stability control, ABS and driveline traction control, tire pressure monitoring, emergency braking assist, blind-spot monitoring, and a rearview camera. Car and Driver Magazine ranked the 2016 Hyundai Azera eighth among full-size sedans. 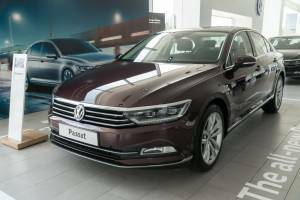 It provides a quiet, comfortable ride with many luxury touches, which makes it a good value. However, the Chevy Impala and the Toyota Avalon rate better in luxury and driving pleasure. The 2017 Hyundai Azera gets 20 MPG in the city and 28 MPG on the highway. The 2017 Hyundai Azera has a lot of luxury features with the Hyundai reputation of providing good value for the price. It is a comfortable car for family road trips except the rear seat is high and the roof slopes, so there is reduced headroom in the rear. With the Sonata, the Elantra, and the Azera, Hyundai has a strong line-up of sedans for 2017. So, whether you are looking for a compact, family, or full-size sedan, Hyundai’s reputation for added value is a great reason to consider any one of these sedans.